Aidan Hammond is Ireland’s most experienced bike fitter. Over the past 20 years he has fitted bikes for over 10,000 of Ireland’s cyclists & triathletes, from novices to professionals. Aidan is a also qualified Physical Therapist and a Level 3 Cycling Ireland Coach. Aidan is a fully qualified European Neuromuscular Physical Therapist and Massage Therapist. He offers a full range of sports massage treatments, including pre and post event sports massage therapy, injury treatments, deep tissue massage and trigger point treatment therapy. 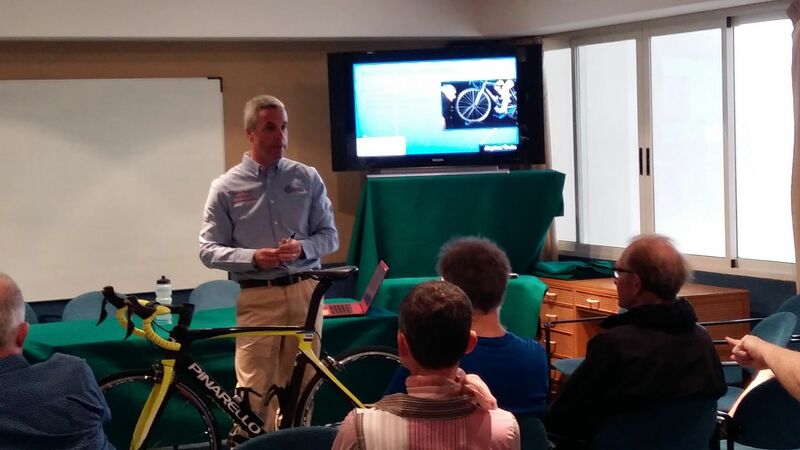 During your bike fit he can identify biomechanical muscle weaknesses or advise on injuries that you may have. Aidan is a level 3 Cycling Ireland Coach, he is one of only three coaches in the country to have attained this level of qualification. As well as coaching riders he also tutors other cycling coaches. Aidan has coached riders of all abilities from youth and leisure riders to International road racers. Aidan is an accomplished cyclist himself, a former A1 rider with 8 Rás under his belt, he won several stage race titles and National Time Trial medals. He still takes part in cycle racing, as well as triathlons and leisure cycles.